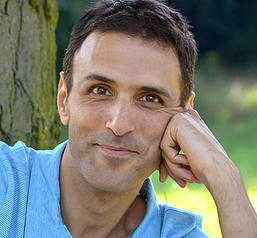 Shai Tubali is the author of fourteen books in the Hebrew language, among them bestselling and prize-winning fiction and non-fiction. For the last twelve years, he has taught spiritual transformation and spiritual therapy in Israel, Germany, and India. His knowledge of chakras and subtle anatomy derives from the Yogic Nityananda tradition through the American Yogi, Dr. Gabriel Cousens, and from working with thousands of people in hundreds of workshops. He developed the White Light method, which enables people to utilize their subtle anatomy and chakras for psychological and spiritual balance. Shai’s book, The Seven Wisdoms of Life, was a 2013 Book of the Year finalist and a USA Best Books Award 2015 finalist. His book, A Guide to Bliss, was published March 2015.